Republican (Term Expires: 2022) serving Lancaster (part) County. Captain in the United States Army during Operation Iraqi Freedom, earned awards: Bronze Star Medal, Army Commendation Medal, Army Achievement Medal and Army Parachutist Badge. Shift manager and production supervisor for ICI Paints. Quarryville Borough Council Member. Chief of staff for Rep. Bryan Cutler. Lancaster County Clerk of Courts. 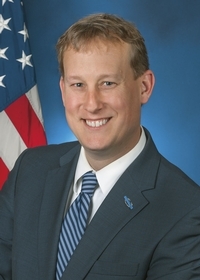 Pennsylvania State Representative. Elected to the Senate of Pennsylvania on November 4th, 2014.